Leftover chicken? Busy week night? 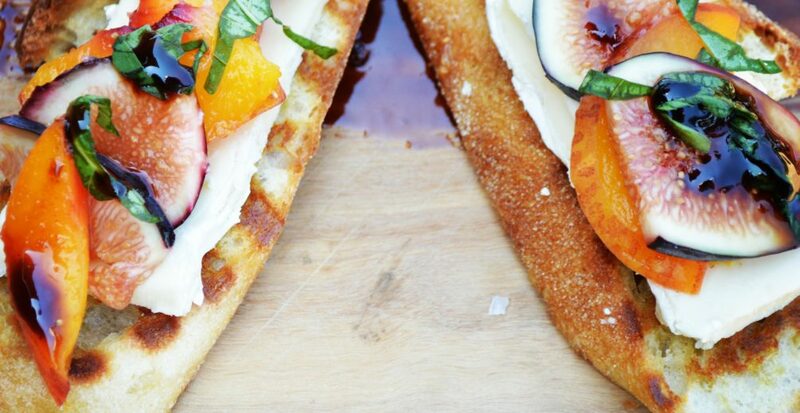 Weekend brunch? 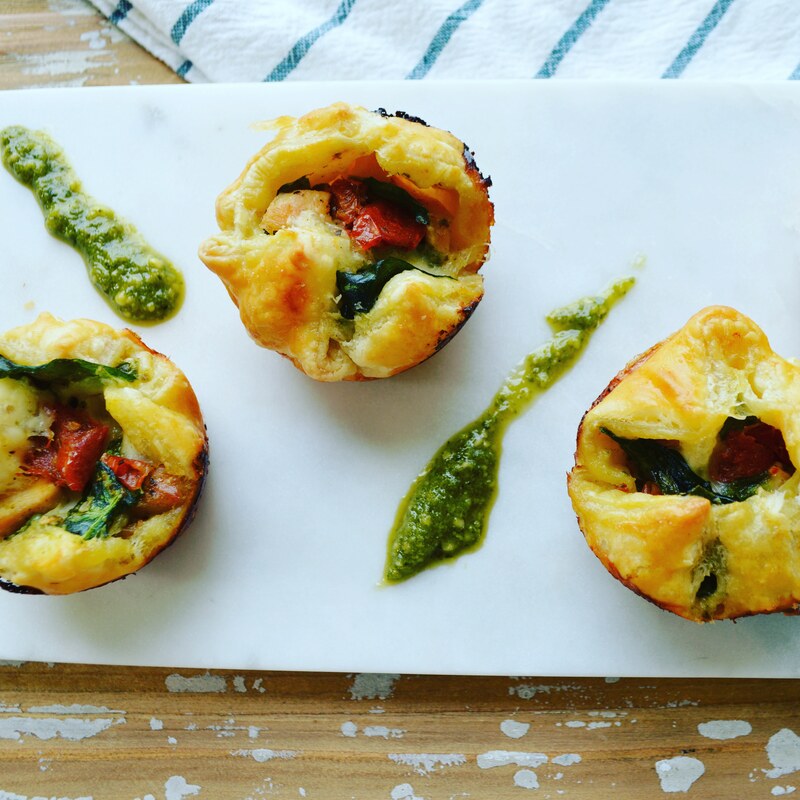 These versatile chicken and mozzarella puff pastry cups are the ‘go to’ for any occasion. 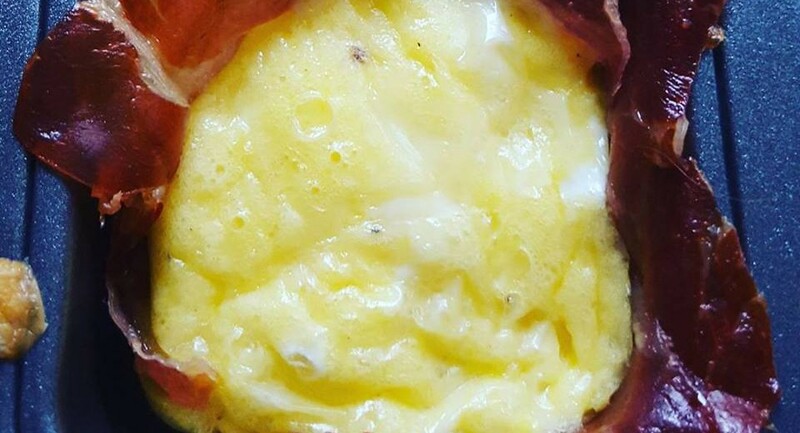 They can be served right out of the oven – gooey and hot -or at room temperature as part of a brunch buffet. 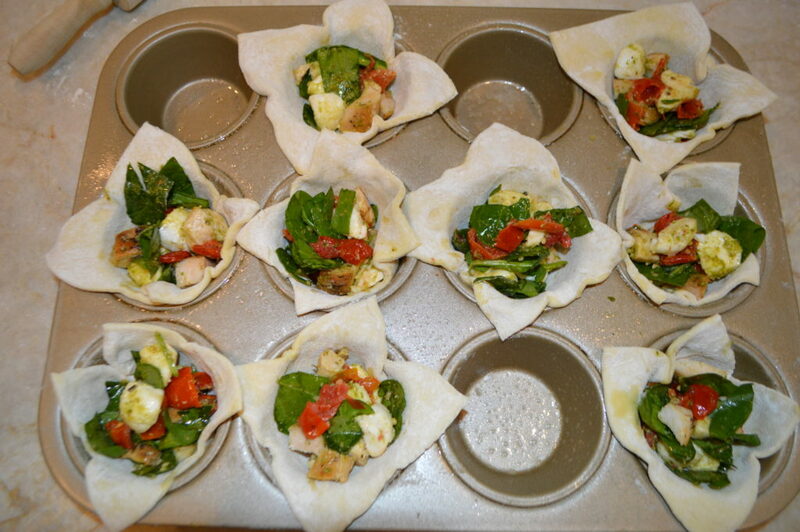 And they reheat beautifully in the oven for a few minutes. 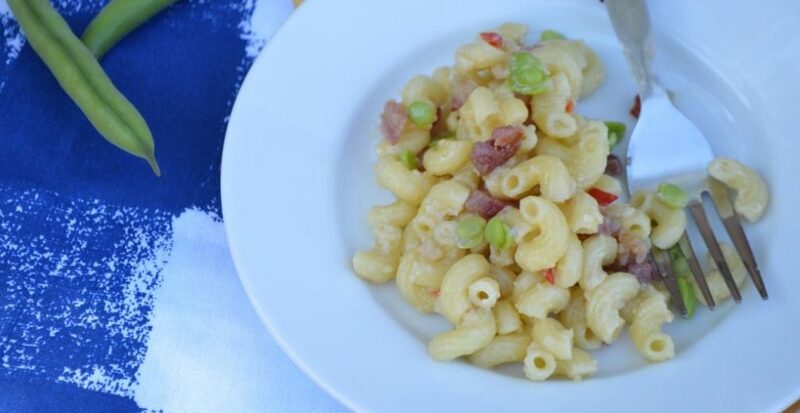 This makes it a great do-ahead dish, too. How do you make these magical little cups? Here’s the play-by-play….and it couldn’t be easier. 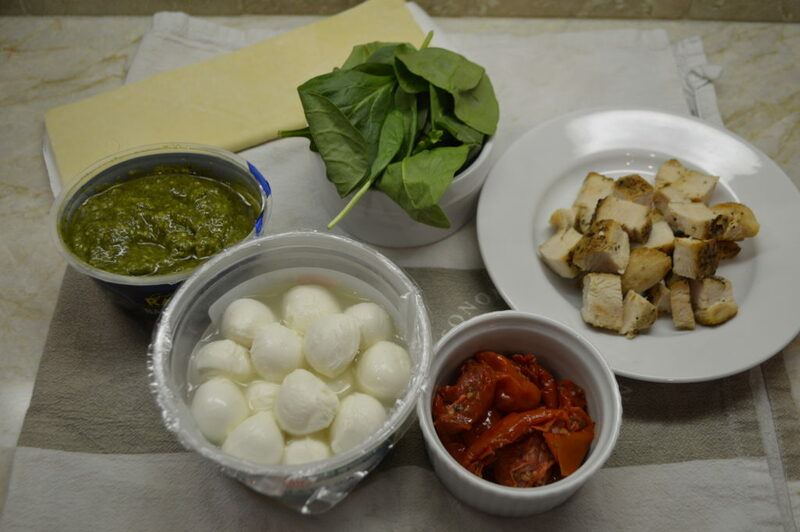 Start with a few good ingredients that can make your life easier. 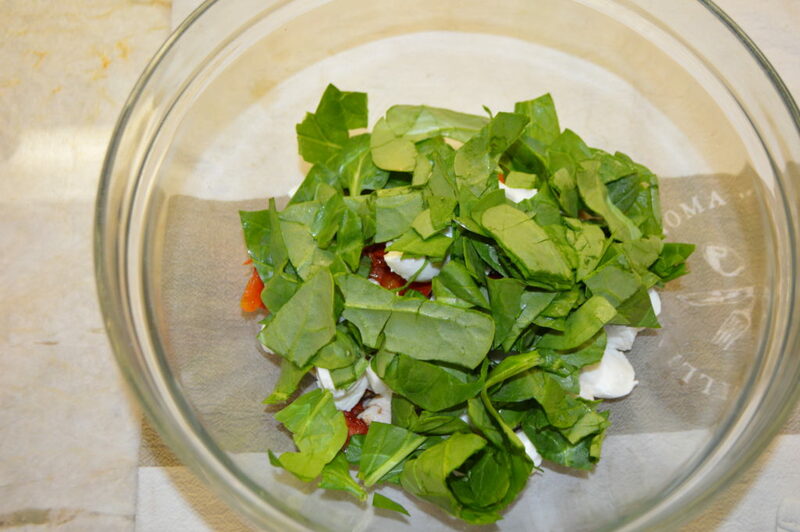 Store bought puff pastry (be sure to defrost overnight in the fridge), store bought fresh pesto, fresh mozzarella packed in water, good quality slow roasted tomatoes (Whole Foods sells these) or sun-dried tomatoes packed in oil, and fresh baby spinach. Hopefully you have a few of these on hand as staples. 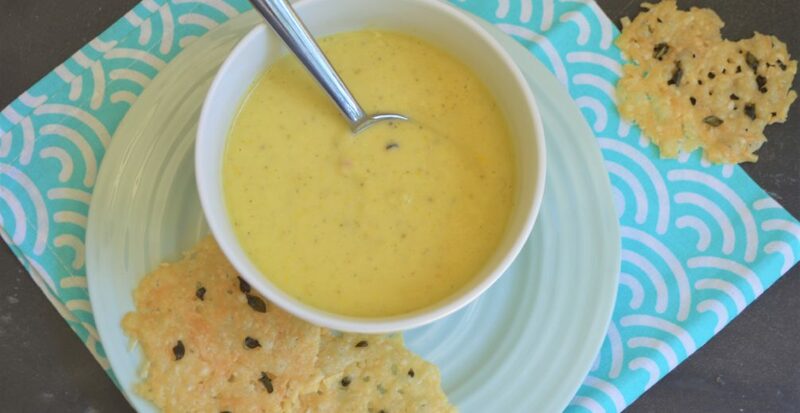 And then you just need a leftover chicken breast and you are ready! 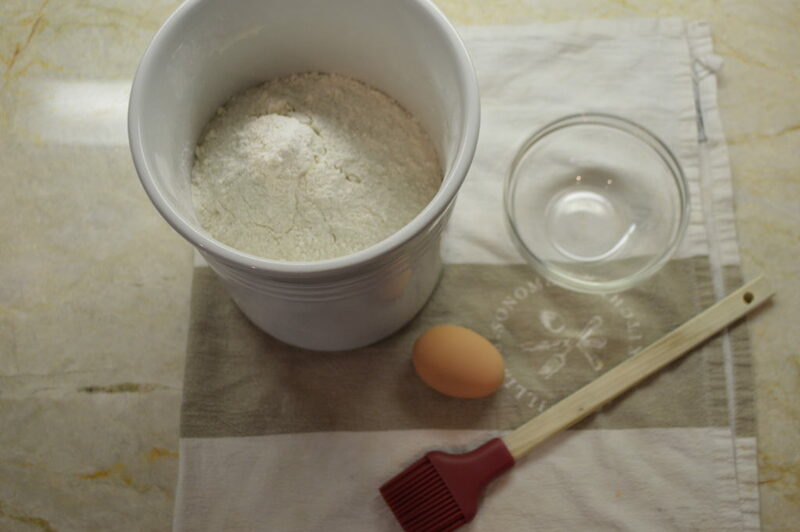 Don’t forget the flour for dusting the dough and egg for an egg wash…. 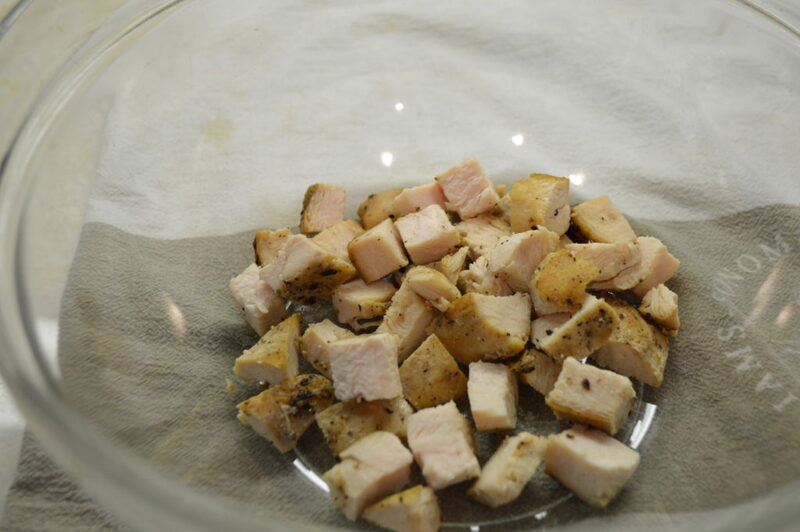 Dice your chicken breast into little bite sized pieces and place in a big bowl. 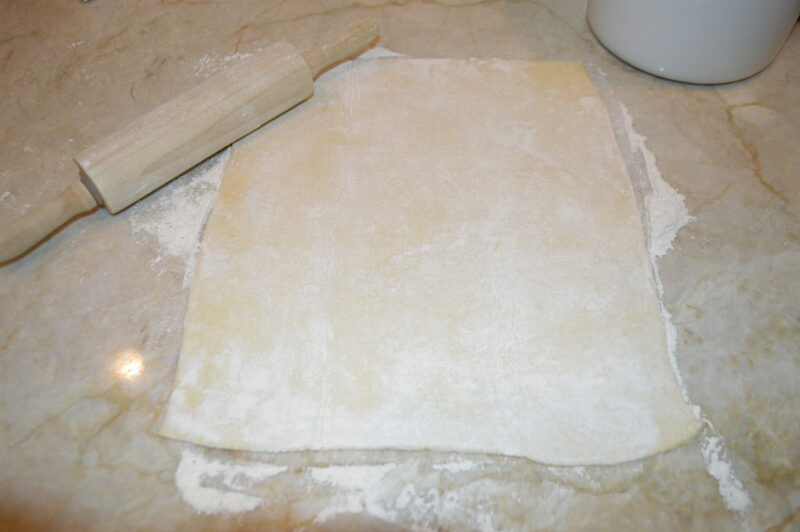 Just a note* You want to keep the puff pastry dough in the refrigerator until you are ready to use it to keep it chilled. We’ll get the filling ready and then move on to the dough. 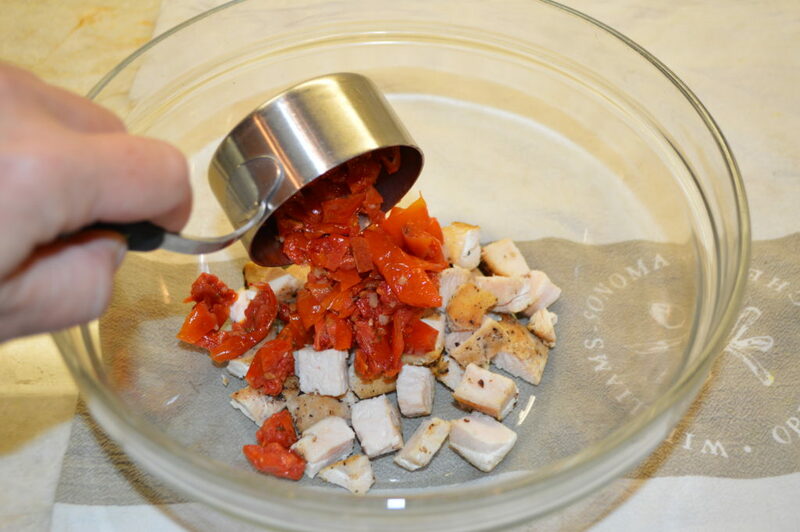 And mix it all around gently with a spoon and your filling is done! 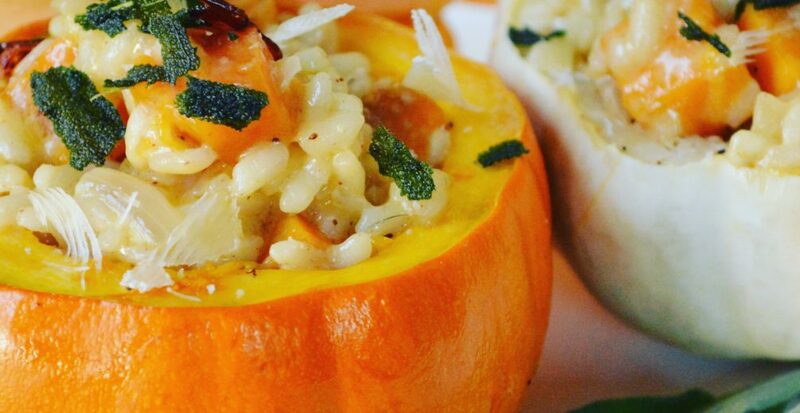 Set aside and fire up that oven to 400. Now with your oven getting nice and hot (400 degrees or 425 if your oven doesn’t get that hot) it’s time to grab that dough out of the fridge. 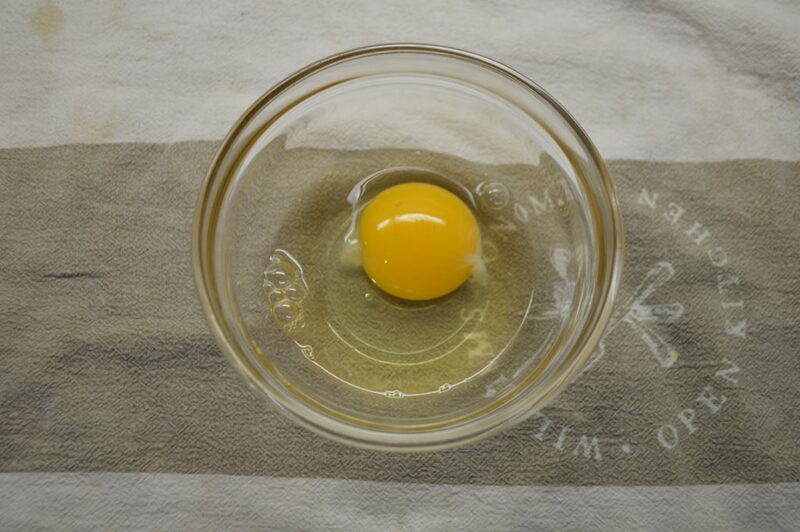 Start by making a simple egg wash. A teaspoon of water in your egg and whisk. 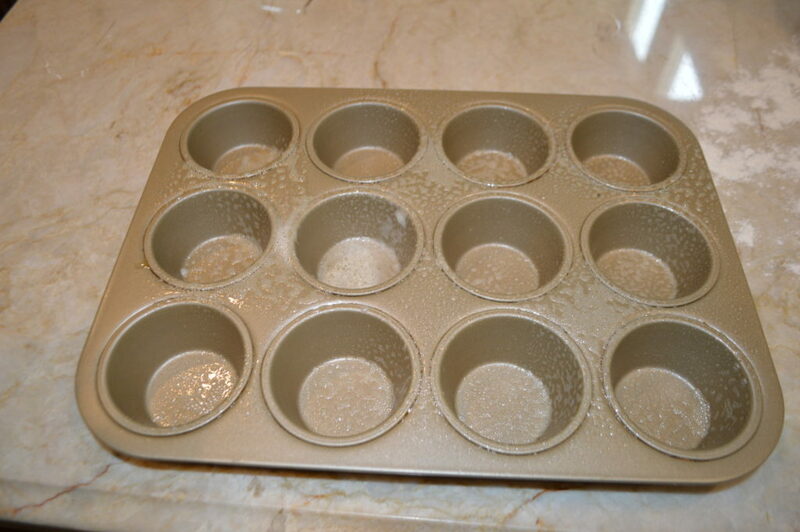 Next grease the muffin tin with some non-stick cooking spray. Then lightly flour your work area and roll out the dough a little bit just to get the creases out and thin it out a little bit more. You should have approximately an even square. Doesn’t have to be perfect. 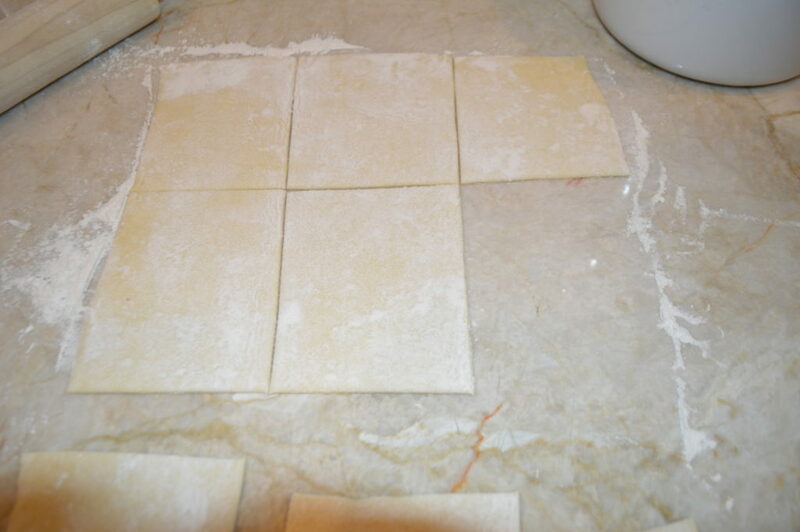 Then cut into 9 squares. I used a pizza roller and mine weren’t all exactly even but that’s okay. Then you kind of stretch them with your hands into the tins. You will have some empty spots because you should have only about 9 squares. 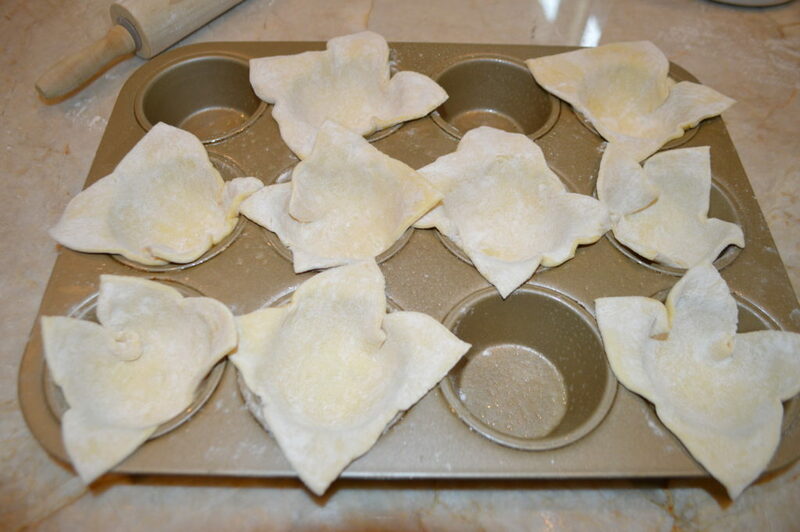 Make sure to gently press the dough into the tin on the bottom and get some good overhang on the corners. 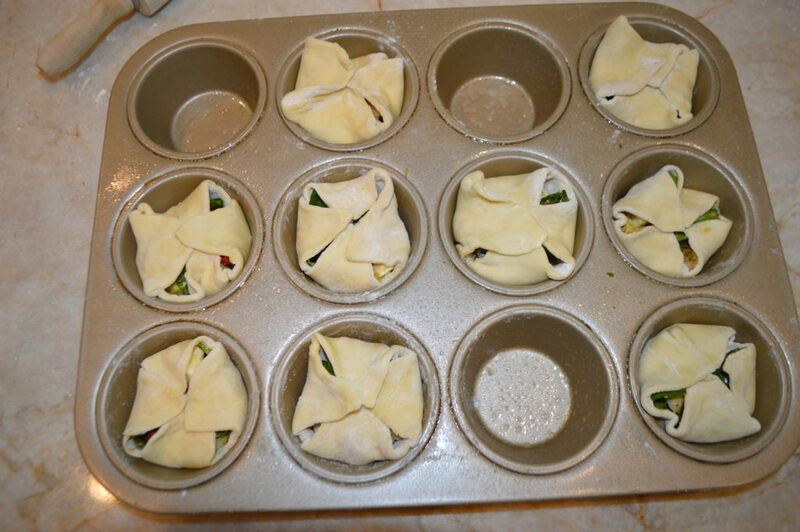 Ready for the oven. Bake for 20-24 minutes or until a deep golden brown. 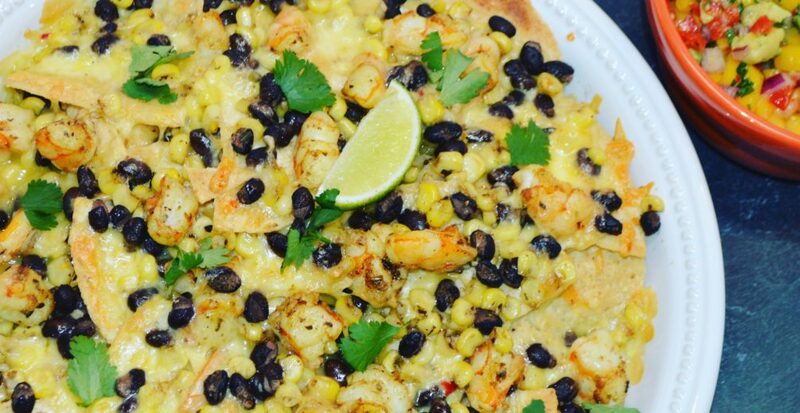 If saving, gently reheat on 250 on a sheet pan in the oven before serving. 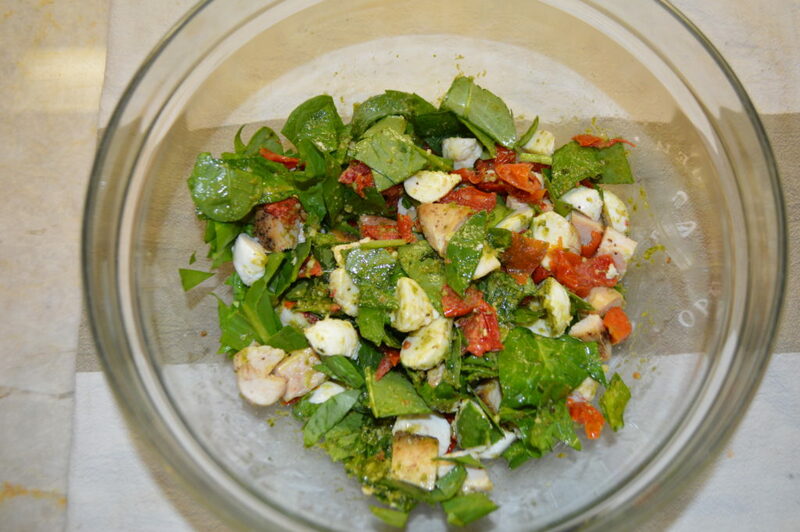 Make the filling by combining the diced chicken, slow roasted tomatoes, mozzarella, fresh spinach, and pesto in a large bowl. Mix gently to combine. Preheat the oven to 400 or if your oven doesn't get very hot then 425. 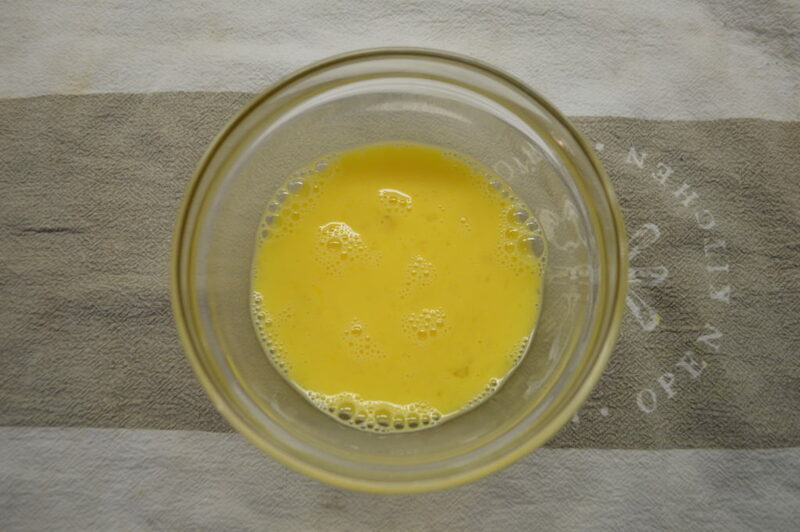 Make an egg wash by combining the egg and about 1 teaspoon water in a small dish and whisk to combine. 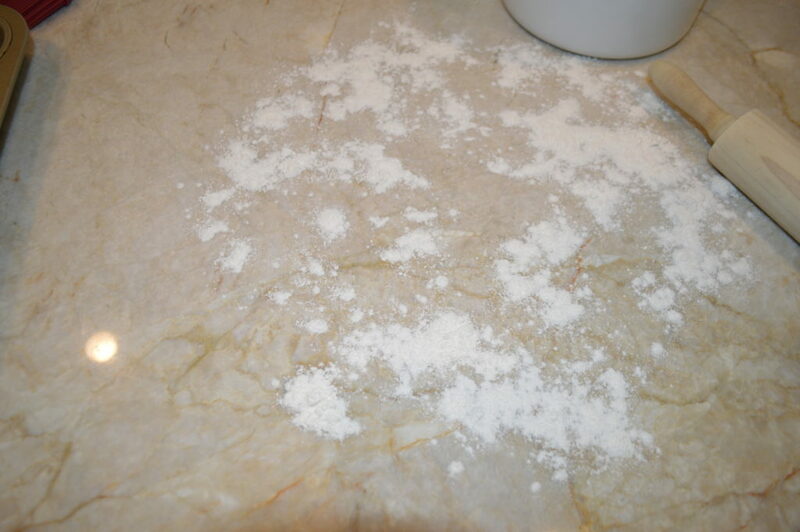 Pull the defrosted dough from the fridge and place it on a lightly floured work surface. 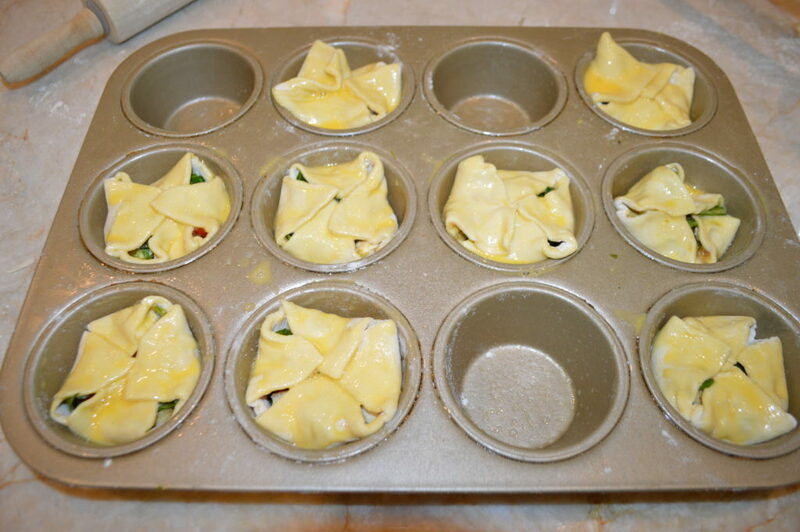 Roll out gently until a little bit larger but still a square then cut into 9 piece. 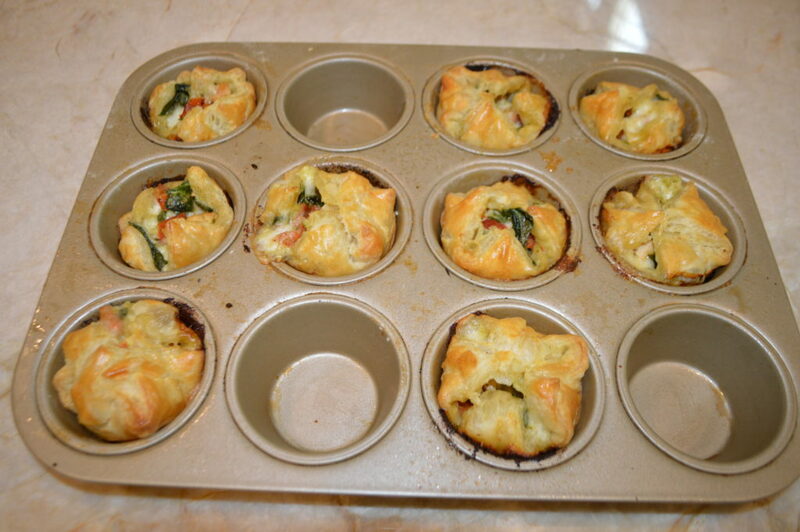 Grease a 12-cup regular muffin tin and place the dough pieces in 9 of the cups, stretching the dough a little to ensure a lot of overhang on each one. 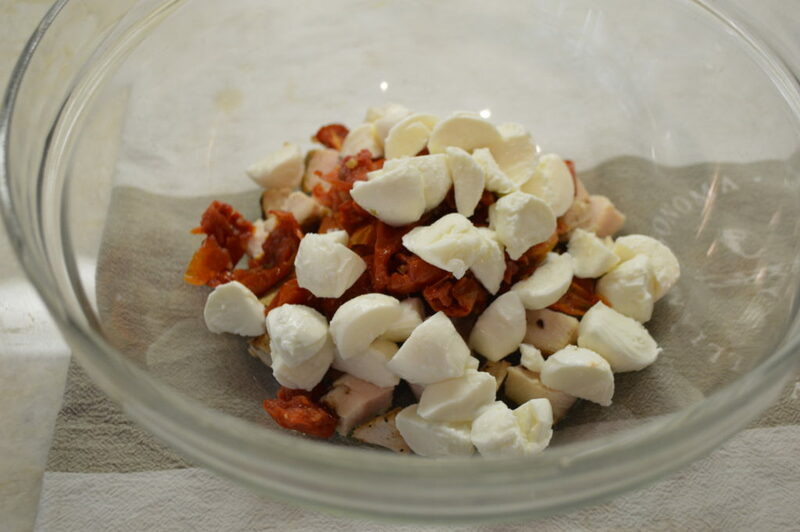 Fill the cups evenly with the chicken and mozzarella mixture. 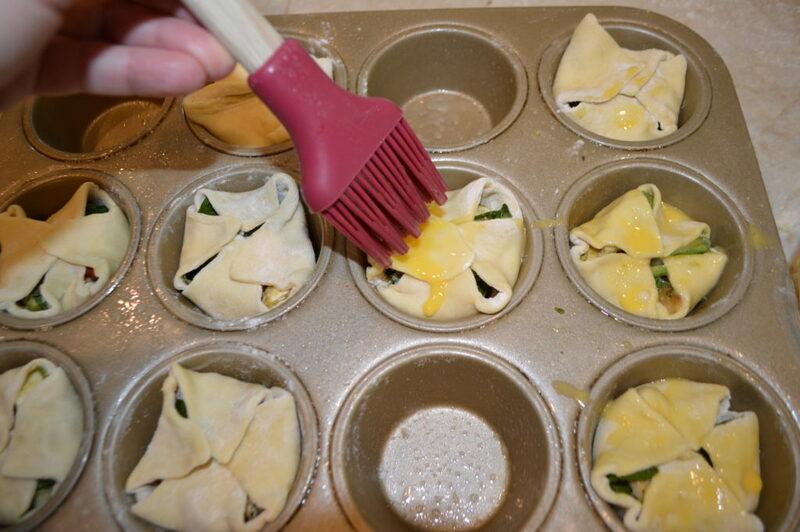 Fold the edges over the mixture and brush with the egg wash. Bake for 20-22 minutes or until golden brown. 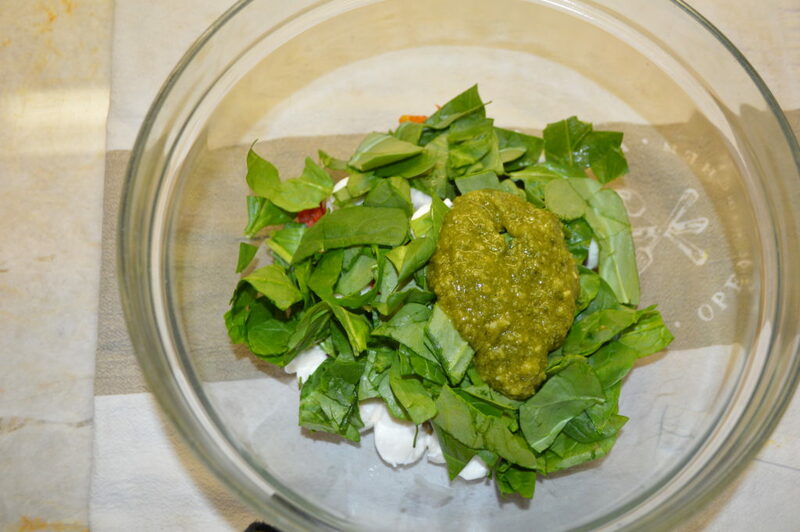 Serve with extra pesto or cool completely and reserve in an air-tight container in the fridge and gently reheat in the oven before serving.